Neglecting meditation can cause anxiety above everything else going on in our lives. The biggest challenge in practicing meditation is learning how to fit it into our daily routine. Most often, we’ve strayed from our practice that we need our reflective skills most. You don’t have to sacrifice your entire practice. There are ways to weave meditation into your day that support you in staying connected to your discipline. Moreover, you can create clarity and refresh your routine even if you find it quite challenging to maintain your daily regimen. The list below can help you nurture your intentions and make lasting changes in your brain so securing the links to your practice can only benefit you more this time. There are times where we wake up earlier than we want to. You’ll bring a peaceful mind to yourself the entire day if you get up 20 minutes earlier and sit to meditate as soon as you wake up. According to yogis, the best time to meditate is as soon as you get up and after you take care of your bodily functions. Just get up and sit down to meditate even if it is only for five minutes. Once you feel good about it, you can increase the time since it would be a part of your everyday routine. If you take time to meditate before going to work, your commute home will be a more pleasant experience. However, if you find the commute home less stressed, you can plan your meditation as soon as you get home from work. Through this, you will ease the transition between work and home life. If you begin to pair your meditation during lunch break, try to find a quiet nook in or around the office and spare a time of your lunchtime to sit in stillness to make it a habit. Take the time to schedule a 10-minute break on your calendar. If you work in front of the computer, you can put it in a calendar so you will be prompted. There are also some cool smartphone apps you can download that can help you schedule your meditations and keep you on track. Close your eyes and take a few breaths as soon as you notice stress begin to rise or that feeling that you are running out of time. In that quiet moment you will slow down your thoughts, settle your state and allow you to focus on action items instead of heavy thoughts that bothering your mind. The truth is we actually find we have more time when we meditate because we’re more productive. Meditation is one answer to this problem. It slows down the mind and heart rate, relieves those feelings of urgency, and increases your capacity to resist distractions. Meditating helps us to focus on what’s most important, resist distraction, and ultimately make us more productive. In this busy world of ours, our thoughts and emotions are constantly scattering leaving us suffering from stress, anxiety or depression. Our brain enable us to plan, speak and connect to others and unfortunately, our minds have a natural tendency to seek out the negative. Most of us don’t have five minutes to sit down and relax. Or spare even 30 minutes or more for a meditation session. But did you know that it is essential for our well-being to take a few minutes each day to meditate and achieve a positive mind-body balance. Even if you’re a beginner to the world of mindfulness, this guide will help you to live more mindfully with ease. With our busy lives, you can use these simple exercises to calm your mind amidst the madness of your hectic day. This simple routine will help guide you to live more mindfully with ease. You can do this exercise anywhere at any time. This kind of exercise can be done standing up or sitting down. Either way, all you have to do is be still and focus on your breath for just one minute. a. Practice a simple breathing technique when you wake up in the morning. Breathe in and out slowly. One breath cycle should last for approximately 6 seconds. b. Let your breath flow in and out of your body. Breathe in through your nose and out through your mouth. c. Let go of your thoughts. Simply let thoughts rise and fall of their own accord and be at one with your breath. d. Try to focus your breath and sense of awareness on its pathway as it enters your body and fills you with life. This exercise is designed to cultivate a heightened awareness and appreciation of simple daily tasks and the results they achieve. Think of something that happens in everyday of your life, something you take for granted. Take occasional moments to stop and cultivate purposeful awareness of what you are doing and the blessings these actions brings to your life. This exercise is simple but very powerful because it helps you appreciate the simple elements of your environment in a more profound way. The exercise is designed to connect us with the beauty of the natural environment. Especially after a long and stressful day, it can be incredibly grounding to connect with nature. Make this mindfulness practice a part of your daily routine and it’s one you will likely look forward to and appreciate more and more. a. Look around you and focus on watching it for a minute or two. This could be anything, a flower, a tree, etc. b. Just focus on your subject. Simply relax into watching for as long as your concentration allows. c. Look at the object as if you’re seeing it for the first time. d. Allow yourself to be consumed by its presence just by exploring every aspect of your subject visually. e. Allow yourself to connect with its energy and its purpose within the natural world. Let go of any other thoughts and focus on the nature you’ve found in this moment. This exercise is designed to open your ears to sound in a non-judgmental way and train your mind to be less swayed by the influence of past experiences. So the idea of this exercise is to listen to some music from a neutral standpoint, with a present awareness that is unhindered by preconception. 1. Put on your headphones and close your eyes. 2. Don’t think of anything just allow yourself to get lost in the journey of sound for the duration of the song. 3. Explore the song by listening to the dynamics of each instrument. Separate each sound in your mind and analyze each one by one. The idea of this is to listen intently to become fully entwined with the music you’re listening to. In this last exercise, all you have to do is notice 5 things in your day that usually go unappreciated. The main point of this exercise is to simply give thanks and appreciate every little things in life. A regular yoga practice is good for all relationships because of its calming and happiness boosting benefits. And it takes those benefits to the next level especially when you practice yoga with your partner. According to numerous scientific studies, the power of love directly affects our physical health, too, by boosting our immune system, improving our cardiovascular functioning, and increasing our life expectancy. Nowadays, couples are often too busy connecting with each other so partner yoga is the answer. Partner yoga is designed for the physical and psychological connection between you and another person. The poses are more about cultivating energy between you and your partner. Here are the reasons why partner yoga is such a great idea. 1. It builds trust – There are a series of poses in which you and your partner cam do in partner yoga. You need to be in complete harmony with each other, so you must trust each other. Your bodies must work in union with each other and one can only do that when putting complete faith into their partner. 2. It brings a new level of intimacy – Have you imagined yourself being in tune with your partner, breathing together? That kind of connection is so rarely found nowadays because of so many distractions. Practicing partner yoga will allow you not only to cultivate intimacy due to constant touch but also to experience self-awareness. Another level of intimacy you will experience with your partner before and after you practice yoga together as you become one. 3. A newfound sense of balance – As time goes by, we didn’t even notice the imbalances in our relationships. These imbalances cultivate inside of both partners until eventually, they tear us apart. But with practicing partner yoga, together with our partner, we will learn to balance out the negative energy building inside us with a much more positive energy. Through that, it will help in balancing the relationship. You may hit many bumps along the road, but the negatives will not outweigh the positives. 4. Experience the sensations of touch – Partner yoga is centered around you and your partner’s touch. Your touch and hold on your partner is what allows you to hold the position when you both come together to do a pose. It heightens your awareness of each other. You become more aware of each other’s presence both physical and spiritual and this brings you closer together than ever before. 5. It keeps things interesting and fun – Sometimes, things get boring. That feeling when you are stuck and don’t know what to do anymore with your partner. Partner yoga is an interesting and completely new experience that will leave a pleasant impression on both of you. It’s lots of touching and laughing and playing. Partner yoga helps keep things fun and created an easy and light atmosphere that takes you back to an easier time, renewing the connection you once had. One healthy way to manage stress is through meditation. It is widely recommended by everyone. It provides many health-enhancing benefits, like reducing symptoms of stress and anxiety. You will probably become even more motivated to make it part of your everyday life if you know the health benefits it can provide. Meditation can be practiced in many different ways but researchers generally classify meditation techniques into two different categories, concentrative and non-concentrative. Focusing on a particular object that is generally outside of oneself is called concentrative. Examples of these are the sound of an instrument or a particular mantra. The other one is called the non-concentrative which includes a broader focus which is the sound in one’s environment as well as internal body states or one’s own breathing. However; one meditation technique can be both concentrative and non-concentrative. Here are some categories of meditation techniques that we must understand, its main options and how they differ from one another. 1. Basic Meditation Techniques – This is not always easy to do if you don’t have practice with it. This technique involves sitting in a comfortable position and just trying to quiet your mind by thinking of nothing. 2. Focused Meditation Technique- With this kind of technique, youu focus on something intently, but don’t engage your thoughts about it. You can focus on something visual, like a statue, something constant, like your own breathing. Others find this easier to do than focus on nothing but the idea is still the same and that is staying in the present and allowing yourself to slip into an altered state of consciousness. 3. Mindfulness Technique- Focusing on sensations you feel in your body is one way to stay ‘in the now;’ focusing on emotions and where you feel them in your body. 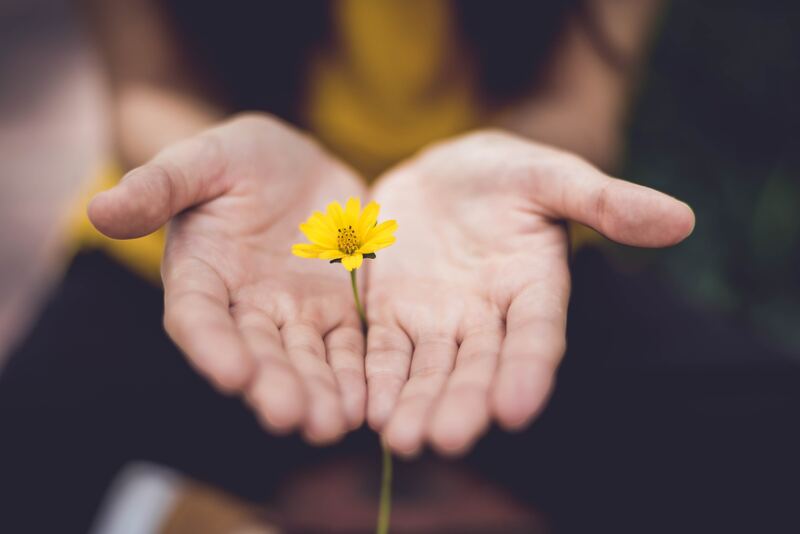 By focusing on the here and now, many people who practice mindfulness find that they are less likely to get caught up in worries about the future or regrets over the past, are less preoccupied with concerns about success and are better able to form deep connections with others. 4. Activity-Oriented Meditation Techniques – With this type of meditation, you engage in a repetitive activity, or one where you can get ‘in the zone’ and experience ‘flow.’Example activities are gardening, doing artwork and practicing yoga. 5. Spiritual Meditation- Spiritual meditation is at its core a practice of self reflection. While spiritual awareness derives from various meditation techniques, the attitude of integrity and honesty in looking at ourselves and how we view the world is paramount. The journey to spiritual awareness through meditation takes time. It takes lots of self-discipline and practice to be able to achieve spiritual success, but the long-term benefits are incomparable – there is no more worthy effort. Whichever meditative techniques you use, the potential benefits are clear and numerous, making it one of the more commonly recommended stress management practices. Learning to meditate can have a lot of benefits for our body which includes relaxation, energy, and perspective on your life. Health researchers take meditation seriously especially those who are interested in stress reduction and improving overall health. People who suffer from anxiety, pain, depression, emotional problems, insomnia and stress are interested in meditation. Meditation is also the ultimate brain workout. Here’s how to get started. All you need to do is to spare your 20 minutes sitting comfortably. Find a place where you can relax and distress your mind from any disturbances. Some people find sitting on the edge of a cushion helps keep the back straight. But the most important thing is to sit with your back as straight as possible. The important thing is to sit comfortably and to practice meditation often. You can add in accessories whenever you want. Often during meditation, your sense of timing is lost and that leads to the feeling that you have gone past the time you set for meditation. At times when you are meditating, you may secretly be looking for any excuse to get up and do something else. Having a timer is a big help. It helps to assure you that you have not meditated too long. You will probably look at a clock or your watch every 30 seconds If you do not have a timer. So set a timer and then forget about time. Think of breathing as how we can communicate with our bodies. If we breathe slowly, our bodies relax. Be aware of your breath during meditation. If your thoughts wander, just come back to breathing. Take a two-minute breathing break several times during the day. Watch as your thoughts and ideas turn up at work, in conversation, or while you are solving a problem. Use the same experimental mindset and watch how you behave and think throughout the day. Set a daily time for meditation and stick to it. Your brain will benefit from the endlessly fascinating journey into your own mind. Your body will benefit from the deep relaxation and stress reduction. 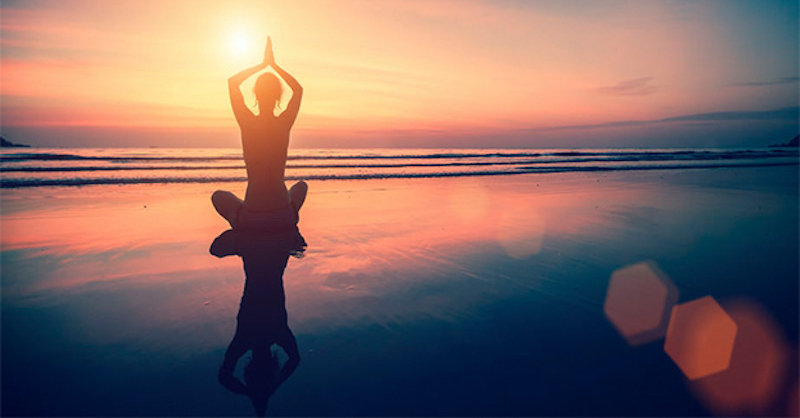 National Yoga Month was developed to raise awareness of yoga’s health benefits and provide people with guidance and tools to improve their well-being. The goal of the September yearly Yoga Awareness Month campaign is to educate the general public about the health benefits of yoga and to inspire individuals to live a healthy lifestyle. Yoga has been featured in a number of clinical trials that have looked at its impact on risk of breast cancer, obesity, hypertension, heart disease, chronic back pain, asthma, carpal tunnel syndrome, and arthritis, and its impact on minimizing uncomfortable symptoms associated with menopause. Many of the studies also looked at the many benefits that yoga offers. To celebrate National Yoga Month, here are some yoga inspired practices we should remember. 1. Take your practice somewhere new – You can do it everywhere, that is the beauty of yoga. This month of September, try to take your yoga practice somewhere you find yourself comfortable. Maybe at your friends house instead of a yoga studio or maybe you can try outdoor yoga. There you will meet different people who love yoga. 2. Invite a friend to do yoga – Do yo have a friend that doesn’t find his or her inner yogi? This National Yoga Month, try to invite a friend or even a family member to do yoga with you. You can have some stretching outside. 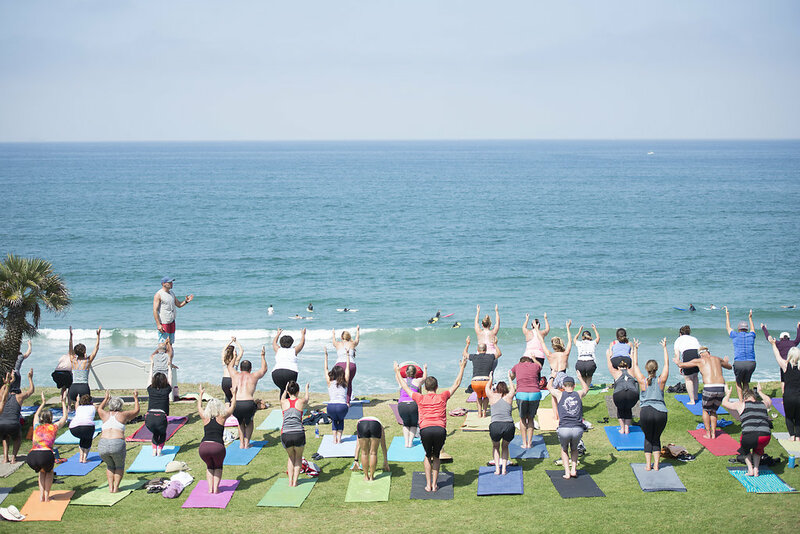 This is an opportunity for you to have fun doing outdoor yoga. 3. Try Challenging Yourself- There are times when we fall into our everyday routine and get really comfortable there. This month of September, try challenging yourself to step outside of your comfort zone, go out of the box. Start from small steps. If you’ve never been to any yoga class, maybe now is the perfect time. Know a strong yogi that’s looking to try something new, too? 4. Take time to refocus – It is important to take the time to turn inward, refocus, and calm our minds. If you have little time to spare, there are available apps to guide us through meditation while we’re on the go. Learn to plan how you’re going to do this after incorporating this into your daily routine. 5. Calm your Mind- Take a mindful minute by doing daily journal. Sometimes, getting your thoughts out on a paper can calm our minds. Write about your day, what your grateful for, and your goals for tomorrow. 6. Be Healthy- In celebration of National Yoga Month, your body needs to be fueled up and healthy. You can try out new recipes to keep that yoga glow all month long. Remember to always keep things nutritious and clean for this month. Incorporate nutrient-rich foods into your diet, or maybe create a plant-based menu for the month. Enjoy trying new things, and new recipes. 7. Spread Love – Practice kindness and be someone who makes others smile. Smile to strangers. This can brighten up their day. Spread love wherever you go. You may not realize the effects on them, but you could be responsible for turning their day around with just a smile and a kind word. 8 Reasons to Start Yoga Today! 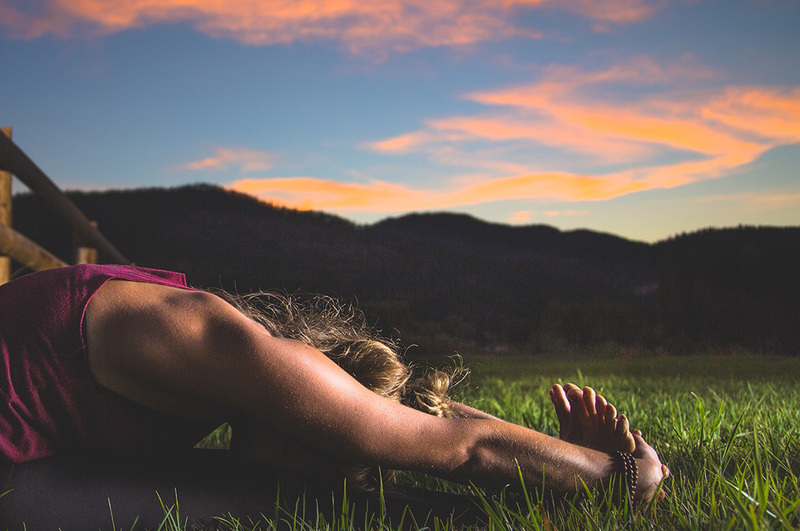 Yoga is great for relieving the physical symptoms of stress (even during an anxiety attack) and for introducing the idea of quieting the mind. 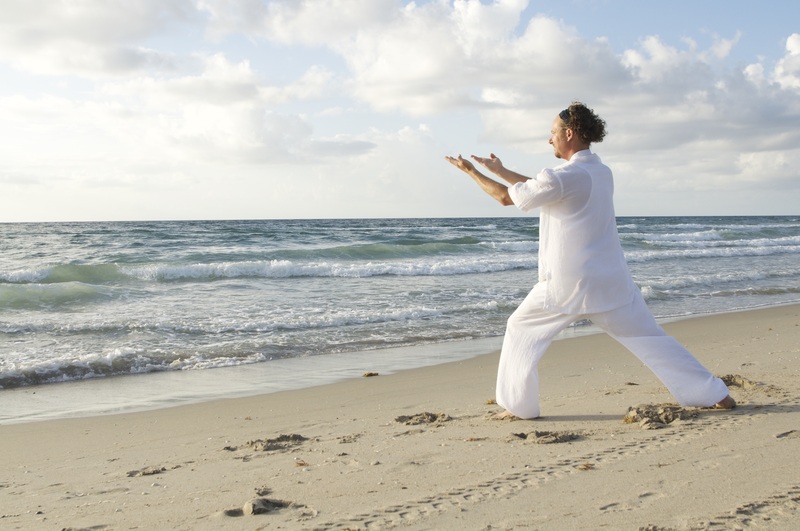 Practicing the postures, breathing exercises and meditation makes you healthier in body, mind and spirit. Yoga lets you tune in, chill out, shape up — all at the same time. Here are 8 Reasons to start yoga today! 1. Stressed Out – Yoga act as a gateway to removing stressful personal or workplace situations from peoples’ lives. Yoga helps to relieve stress. And in our fast-paced, challenging world, this is something everyone needs help with. Yoga trains both the mind and body. The physical aspect is challenging and can only be achieved if you focus. And that focus helps train your mind. And once you improve your focus, you’re better equipped to handle stress. 2. Too Much Sitting- Many people especially those who are sitting at their desk the whole day have issues with posture. Yoga will give you a healthier posture, and a good posture makes you look bold, tall, smart, and more confident. Many yoga exercises revolve around seated positions and a straight back accompanied with breathing exercises. 3. Your back hurts – Since back pain can be caused by so many different things, it’s important to see a doctor if you have chronic pain so that he or she can tell you if there are any kinds of movements you should avoid. Stretching a few times a week can prevent and even treat the pain you already have. There are also a lot of yoga exercises for back pain that you can do. 4. Lose Weight – Some may say that practicing yoga don’t burn that many calories, there are also anecdotal evidence from people who believe that yoga has played an important role in their weight loss. Moreover, it’s true that yoga helps in promoting a healthier lifestyle and improve dietary choices. 5. You have Arthritis – People with arthritis are advised to move their bodies and stay active, but they need forms of exercise that are low impact and gentle on the joints. You can find a class that caters to people with arthritis so you can be sure that your teacher is familiar with your condition. 6. You are Pregnant – There are so many reasons to do yoga during (and after) your pregnancy. With yoga, you prepare yourself for giving birth by opening your body and giving you techniques to cope with pain. Prenatal yoga classes offer a time to slow down and connect with your changing body. 7. Having a Hard Time to Sleep – Yoga has a few sequences of poses and movements that are intended to be done right before sleep. But even besides these poses, studies show that practicing some light physical exercises before bed helps us doze off faster and sleep. Some people find a connection to the spiritual, but even if that’s not your cup of chai, your mood will be elevated and you will feel better. 8. Yoga is Very Easy and Everybody is Doing it – You can practice yoga on the carpet, sand, or grass–or wherever you are comfortable. You can even do this at home in your own time and register for a free classes. And yes, everybody do this. You can ask your family and friends to enjoy yoga together! There is no need to delay. If you suffer from any issues like back pain, then do take your doctor’s advice regarding which poses you should avoid. Yoga is for everyone–no matter what ails you or how old you are. Nowadays, practicing yoga at home has become very easy and convenient. There are great websites with video classes and articles, youtube videos that you can watch and follow. It has become possible to take your yoga practice anywhere. If you are a beginner, it is highly recommended to go to a few yoga classes for you to get introduced into the practice and to get suggestions from your teacher. 1. You can practice whenever you want – You can practice everyday and any time of the day. There is no need to stick to a particular schedule, you set your own time. You will realize and feel better if you do yoga after waking up. With a home practice we have the freedom to choose what pose to do next based on what we need that day. Practicing at home offers us the option to make our practice more instinctual, without the constraints of a set agenda. 2. It builds discipline – It takes some extra discipline when practicing yoga at home. This can transform how we respond to tempting things that surround us. 3. You can’t compare yourself with anyone – If you’re in a yoga studio, it’s hard not to compare yourself to anyone. You learn to respect your body for not being perfect when practicing at home. And if there are times when you find it hard to practice in a room full of people, try doing yoga at home instead. 4. There’s no rushing out. – The beauty of practicing at home (especially in the morning) is that you don’t need to be anywhere—you literally can step out of bed and breathe into a forward fold. 5. It doesn’t cost a thing– For those of us on budgets who still want to practice every day, sustaining a yoga practice can be challenging. So, why not spend on a few less classes a week by doing it at home? You can try our videos from Yoga Instructor Steve HERE. 6. Concentrate on Yourself – Practicing yoga at home can benefit You. You ca fully concentrate on yourself, what you are feeling, your own breathing and the thoughts that crosses your mind. Increased self-awareness will benefit not just your yoga practice, but also your life in general. If you’re finding that you need more yoga than there is time for, try incorporating some home practices into your schedule, even if they are short. Having a home yoga practice is just convenient: location wise, time wise, not to mention economically. And convenience is critical when you have a busy life.